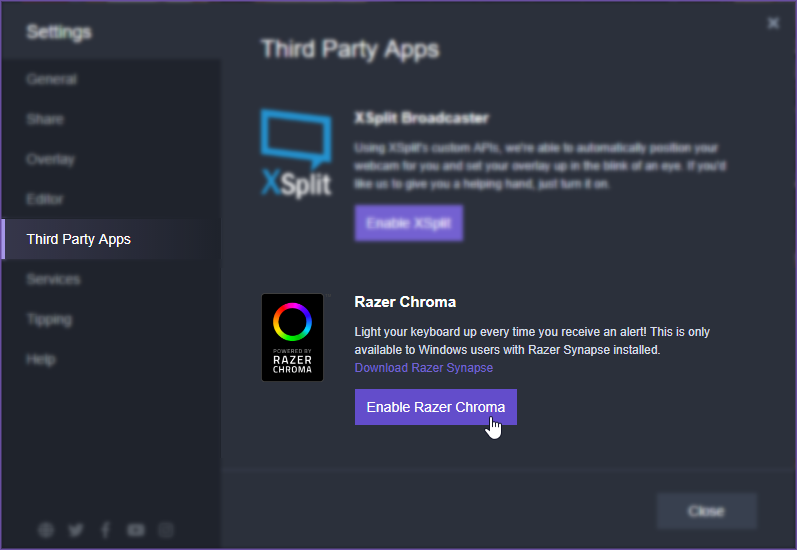 Note: You will need a Razer Chroma device connected and Razer Synapse installed for this feature. In your Overlay Editor, click the Settings button and select Third Party Apps. Look for Razer Chroma and select Enable Razer Chroma. Your Razer Chroma devices will now light up every time you receive an alert on stream! If you use more than one overlay, you will need to enable this feature for each overlay.